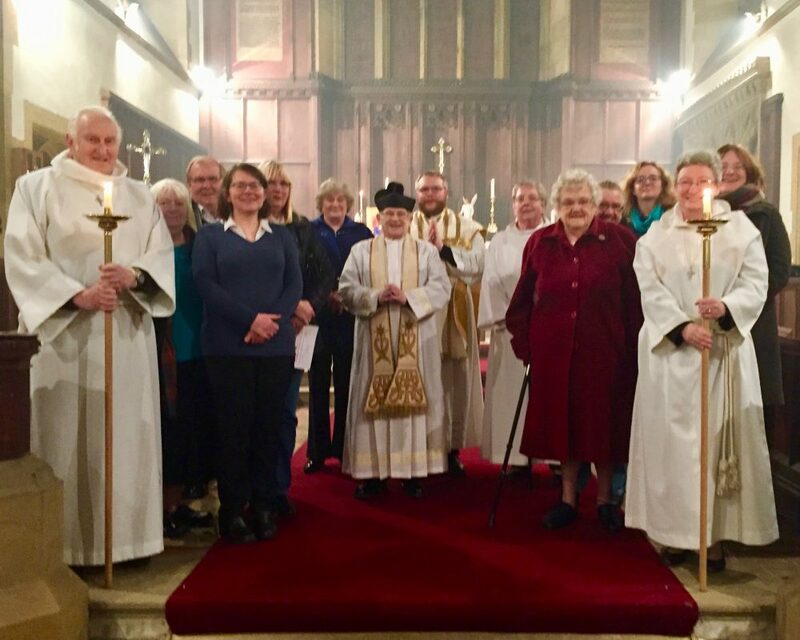 The East Cleveland Walsingham Cell held its first gathering of the new year at All Saints’ Parish Church, Skelton-in-Cleveland, on the evening of Tuesday 10th January 2017. Father Adam was invited to celebrate the Mass for the Feast of the Baptism of Christ, Father Valerie the Rector of Skelton preached the homily and led the congregation in reaffirming their baptismal promises, which was then followed by the sprinkling of water from the spring at Lourdes. The next East Cleveland Walsingham Cell Service will be held on Candlemas Day, Thursday 2nd February 2017, 7:00 pm, at Saint Leonard’s Parish Church Loftus-in-Cleveland. All are welcome to attend this event.